Sometimes we have to do some calculations with date time objects in our applications. In that case we have to use Date Time formatting and conversions to accomplish the tasks. In this example we can see some commonly used methods to do the conversions and manipulations. Convert string into date time. Convert UTC/GMT into local time. 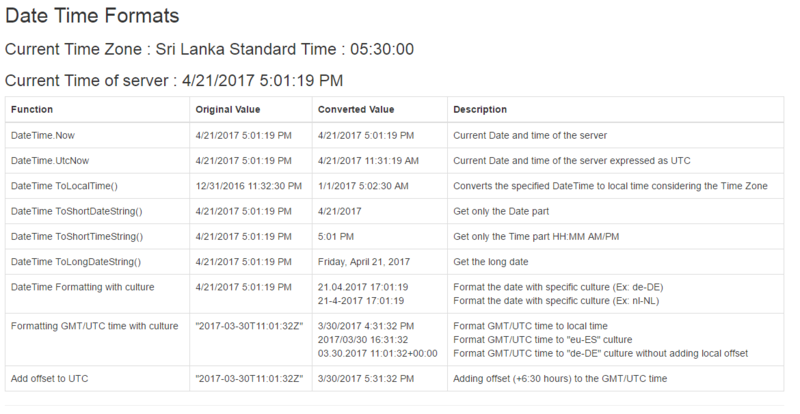 Format date time using cultures. Use Short and Long forms of date times.